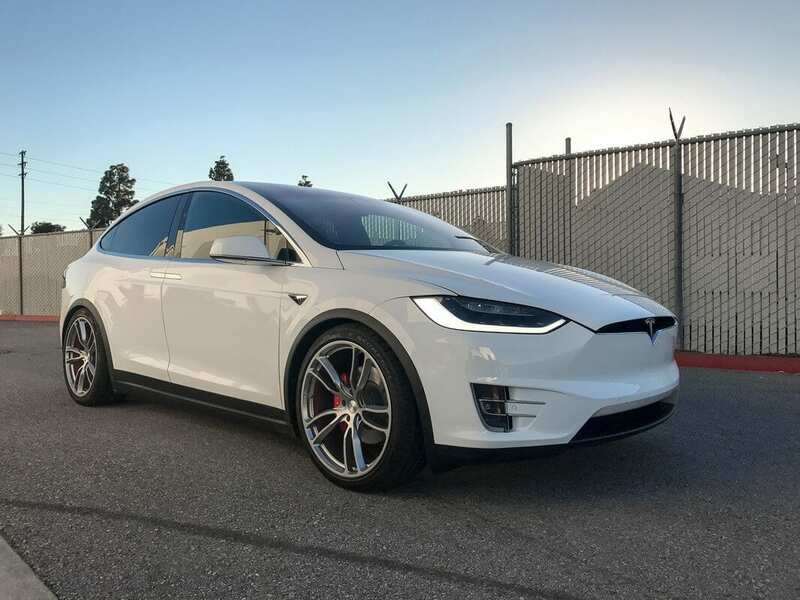 Installation is offered at our Hawthorne, CA facility only. 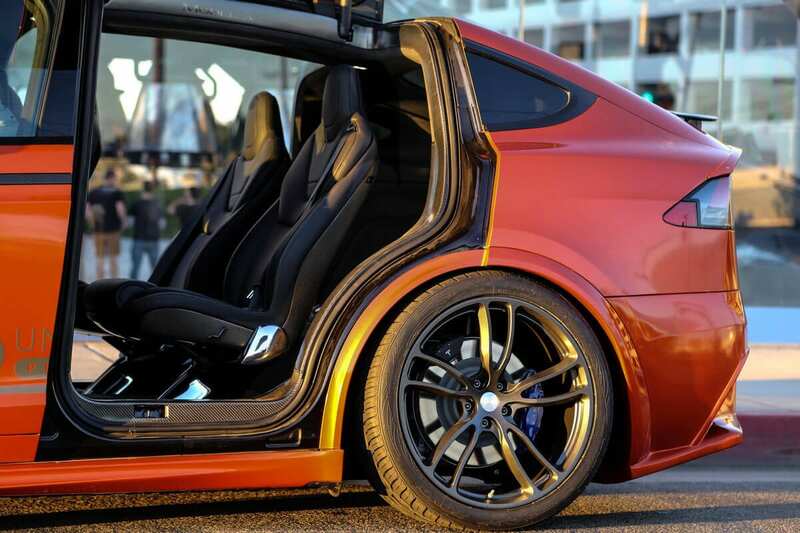 For those looking to improve handling and add style, lowering the car’s center of gravity is the way to go. 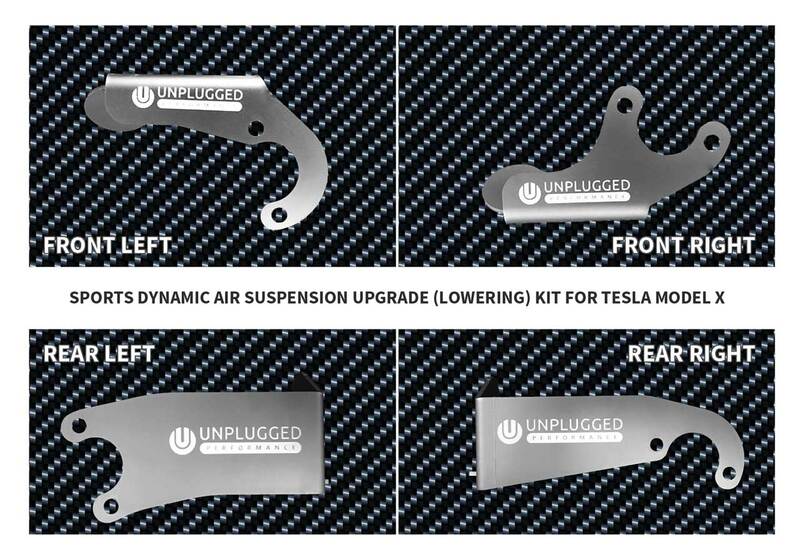 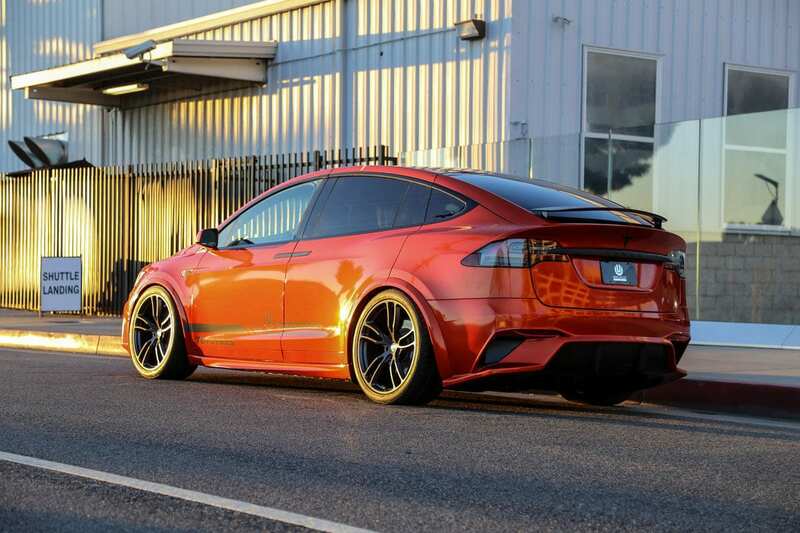 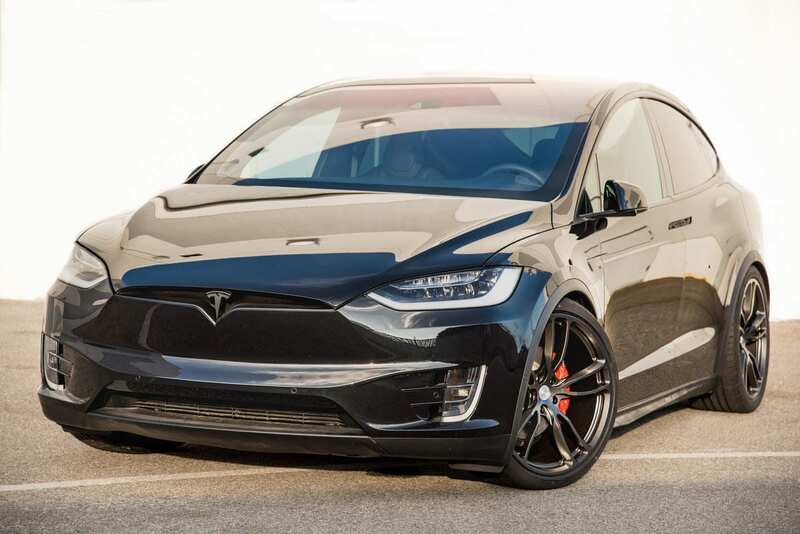 We offer our plug-and-play Sports Dynamic Air Suspension Upgrade Kit for those looking to quickly and easily lower the overall height of their Tesla Model X. We’ve engineered this from the ground up as a uniquely tailored solution for the Model X, with multiple years of driving experience on streets and race tracks. 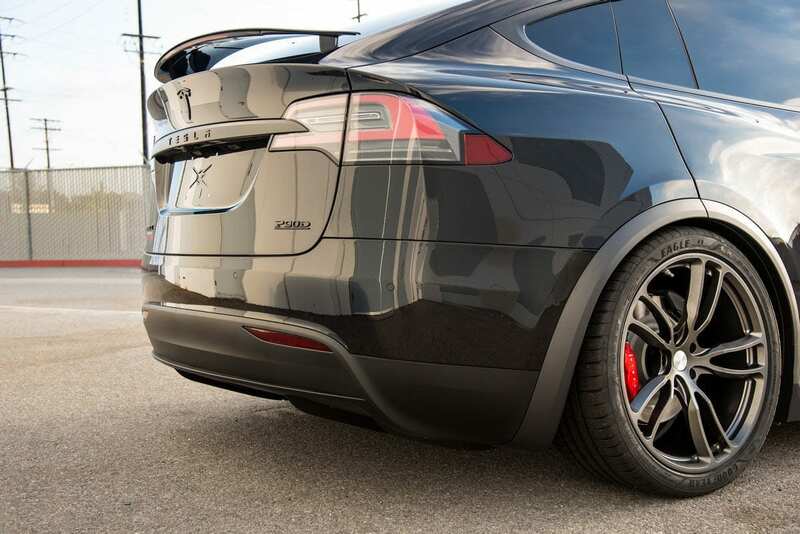 * Unlike other products on the market, this product does not change out links with generic threaded lowering links. 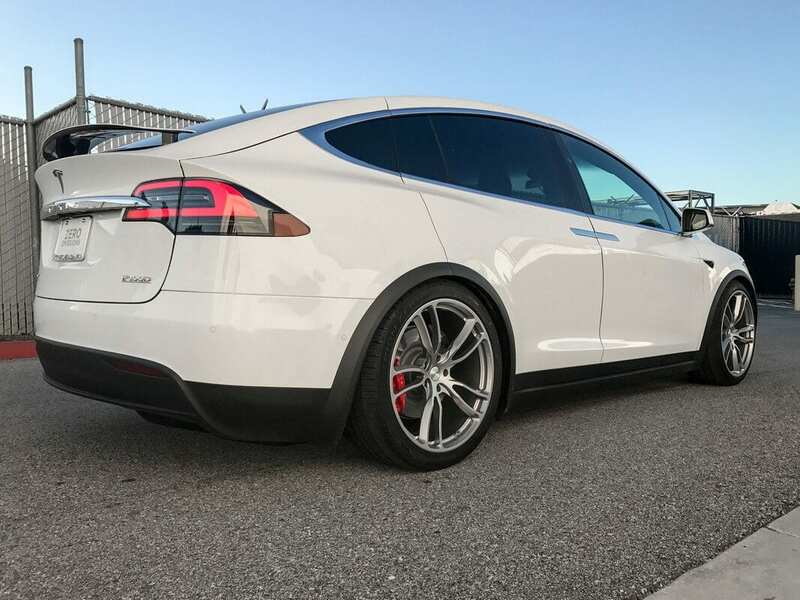 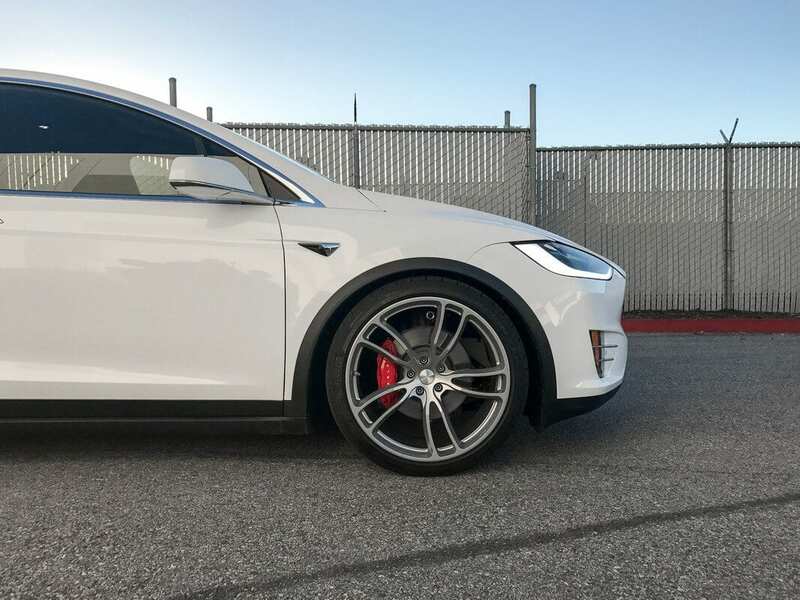 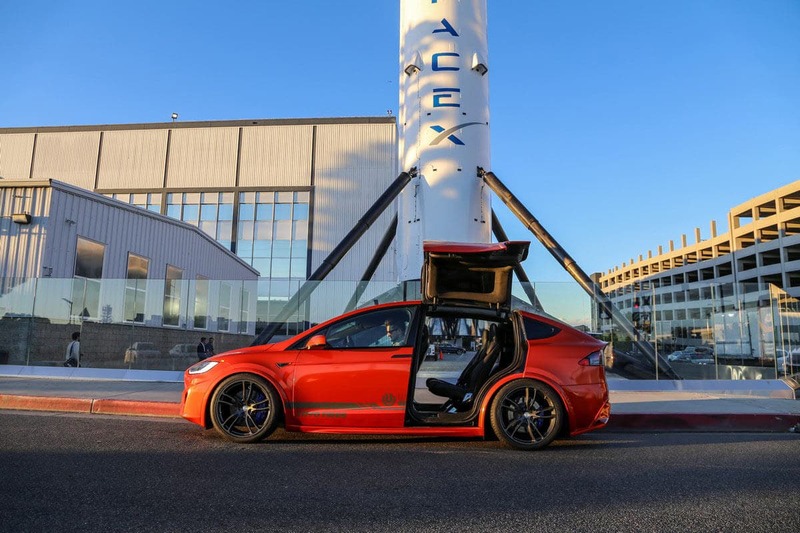 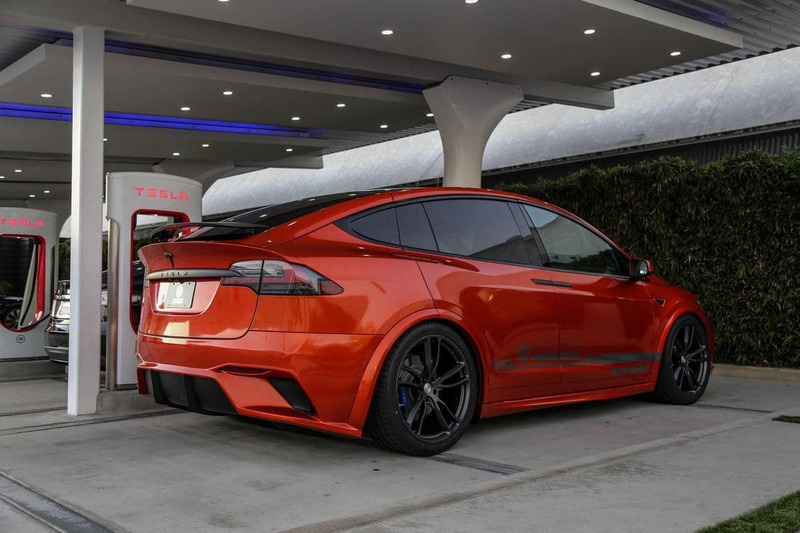 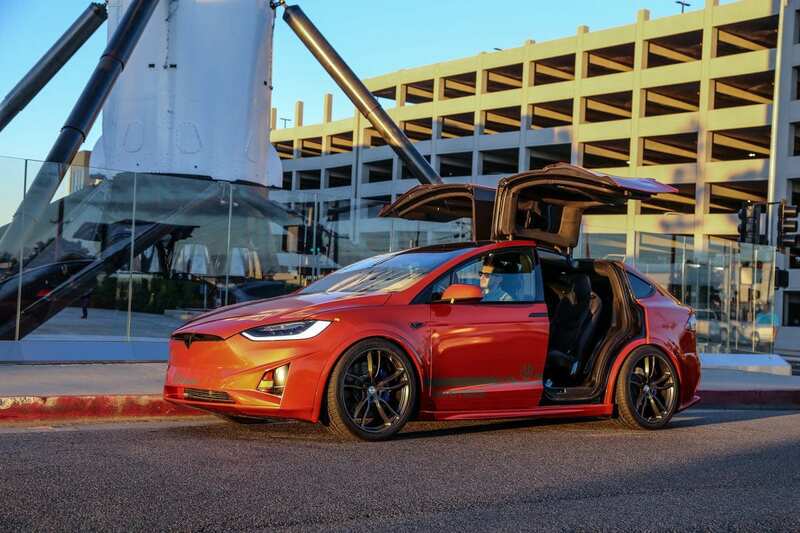 PLEASE NOTE: To install on your Model X, you must have the 22″ wheel / tire system calibration (this is by default if your vehicle was factory equipped with 22″ wheels, but can be recalibrated by a Tesla Service Center upon request). 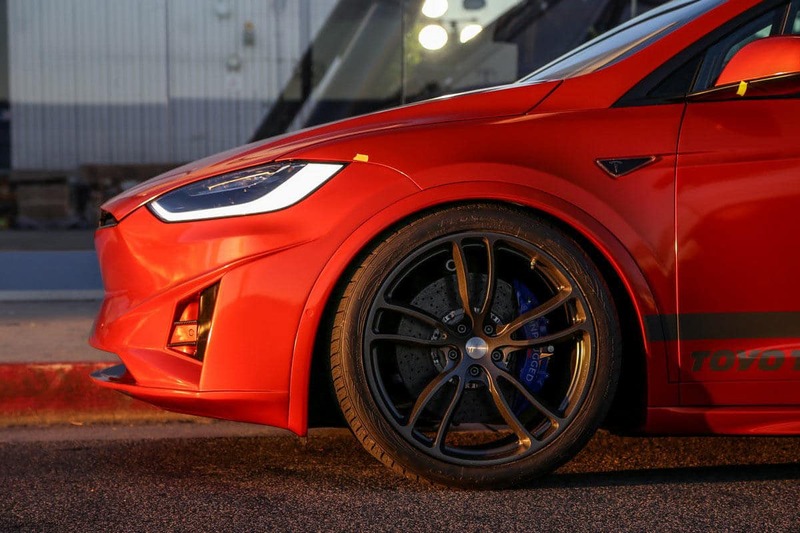 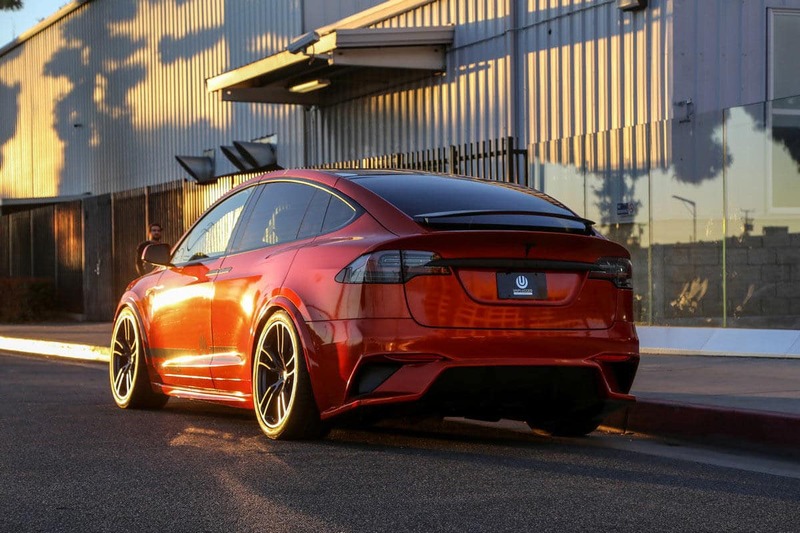 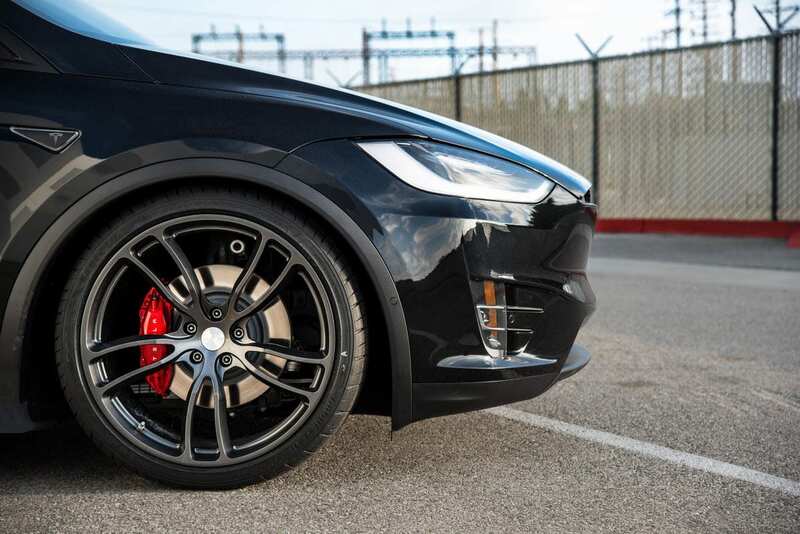 You may use any size wheels on your Tesla X with this product installed, but regardless of your wheel and tire choice, please ensure Tesla has configured your vehicle’s firmware for 22 inch wheels.